Is There Any Way to Get Free SIM Network Unlock Codes? In many cases, you can't get a free SIM network unlock PIN. This is mainly because the online services and software that provide these codes have to pay for access to the codes. You may be able to get the code for free if you ask your service provider for the PIN but even then there is no guarantee that the service is completely free, you may be paying for it in your bill. But just like with everything else there is a workaround solution around this problem and there are some code generators that will offer you the chance to get the codes for free. These sites allow you to use TrialPay as your payment method instead of cold hard cash. The way TrialPay works is you pay with a completed task or offer. In essence you perform a certain task for the code. Let's look at these sites and how they work. 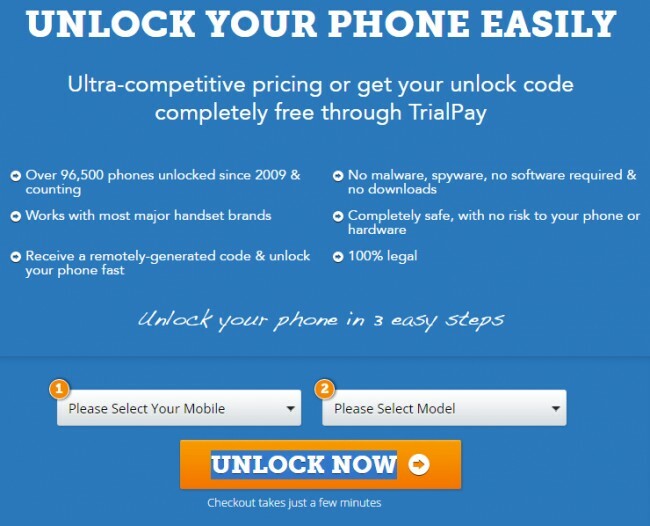 This is a site that offers users the chance to get free unlock codes by choosing to pay via TrialPay. You can decide if you want to pay out right or get it free. The tasks are often not difficult but they will take your time. Other than providing you with free unlock codes this is a service that has been providing these services for quite a while now and very successfully. The code is generated almost instantly and it works with almost all devices both iOS and Android. It is also very easy to sue, of you decide you want to get the code for free all you have to do is select your device and model and the proceed to check out. Complete the TrialPay task and you will have your codes emailed to you in the specified time. It is definitely worth a try especially if you want to try out sim unlocking your device and don't want to spend money to get the codes. This is another great website that is dedicated to make it easy and affordable for all those who want to unlock their devices to do so easily. Like Free Unlocks, Ask Unlock will also offer you the unique chance to unlock your device for free aging using TrialPay. 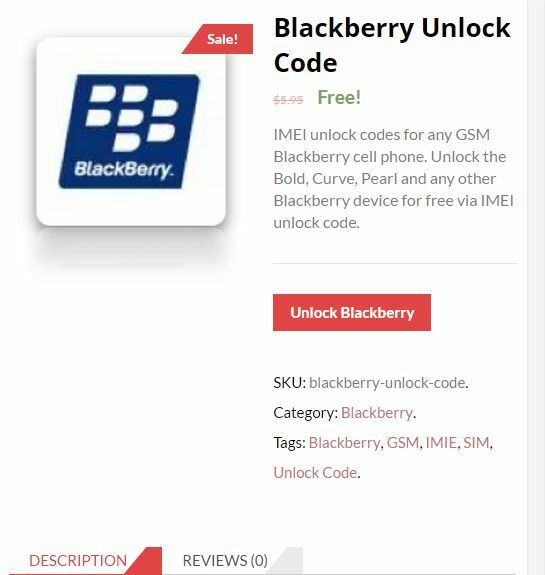 It can be used to unlock most devices including Blackberry, Nokia, HTC, Samsung, iPhone and many others. Just because the site offers free services doesn't mean that the codes are fake or don't work. Again, while you should proceed with caution, this one is a great site if you really want to unlock your device and don't want to spend upwards of $100 to do it. This is another site that allows you to get free codes by using TrialPay as a payment option. The site can be used to generate code for a number of devices including HTC, Huawei, LG, Nokia, Motorola and many other Android devices. The service is however unavailable for iPhone users. It is also very easy to use, all you have to do is pick the device you want to unlock and then provide information such as IMEI number and network to get the code. If you decide you don't want to use the TrialPay option the codes on this site are pretty affordable. So don't listen to the naysayers who continue to say you can't get unlock codes for free. With the emergence of TrialPay, you can trade your time for free codes. If you dint have a lot of time, getting codes isn't that expensive just spend a little to enjoy the benefits of an unlocked device. The benefits are numerous but so are the risks. Beware of getting the wrong codes or entering the wrong code into your device. If you do it long enough, there is the chance that your device could be disabled. Besides the three free sim network unlock pin generators introduced above, we are going to present you one of the best SIM unlock code generators, dr.fone - SIM Unlock Service. It helps you permanently SIM unlock your phone so you can use your phone on any carrier providers you want in the world. Step 1. On DoctorSIM Unlock Service official website, click on Select Your Phone button, and then select your phone brand among all the brands. Step 2. On the new window, fill in your phone IMEI number, model, your contact email etc. Once your order is processed successfully, the system will send you the unlocking code and the instruction. You can use the code and follow the instruction to unlock your phone. Do you want to unlock your phone? 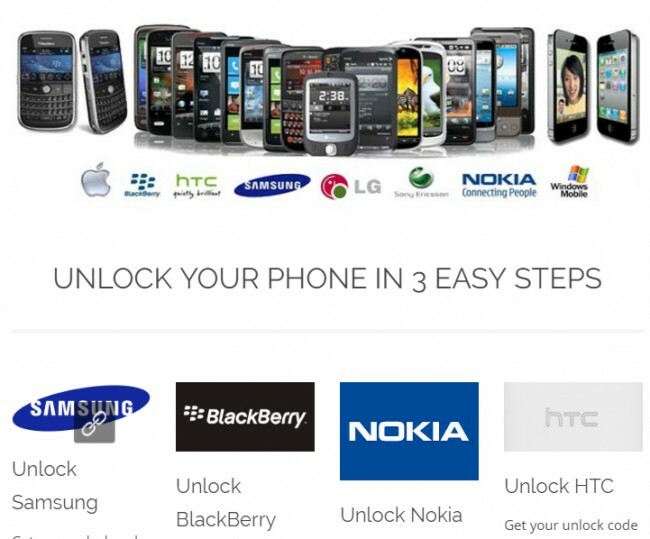 Here are the best SIM unlock services to help you do that easily. > How-to > SIM Unlock > Is There Any Way to Get Free SIM Network Unlock Codes?